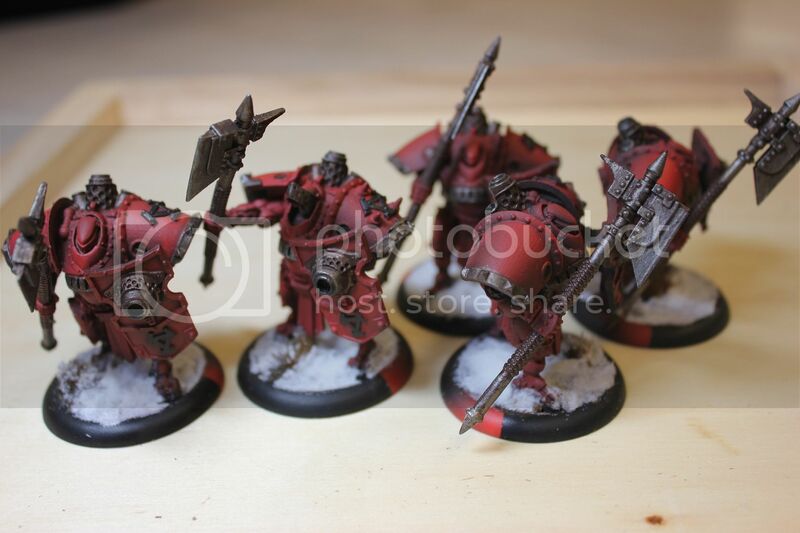 Lost In The Warp: Is that a painted Khador battle group.... or are you just happy to see me? 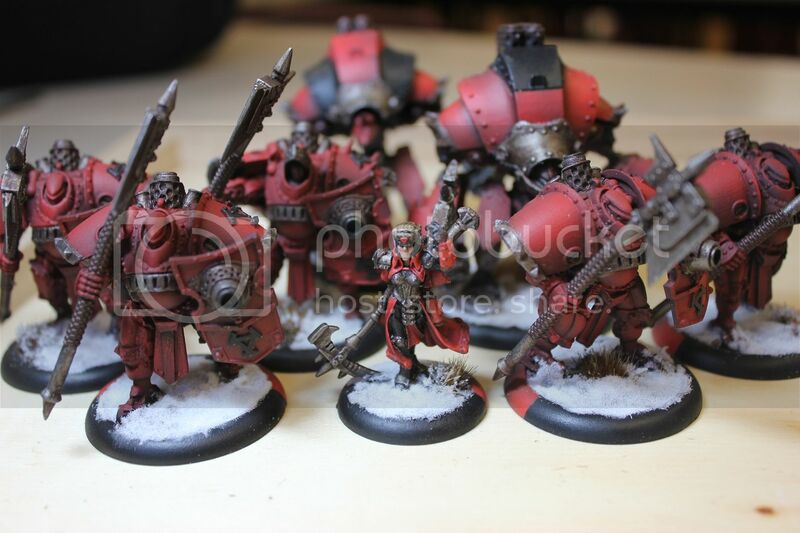 Is that a painted Khador battle group.... or are you just happy to see me? Worst post title I have ever used but I really couldn't help myself! 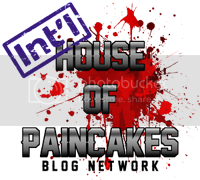 Quick update this week. I have made a bit of progress on the Beastmen painting and should update that in the next week. In the meantime, here are are some Khador models I have painted up as quick table top pieces for the after school games club I run. The pictures aren't awesome but they do convey the general idea. 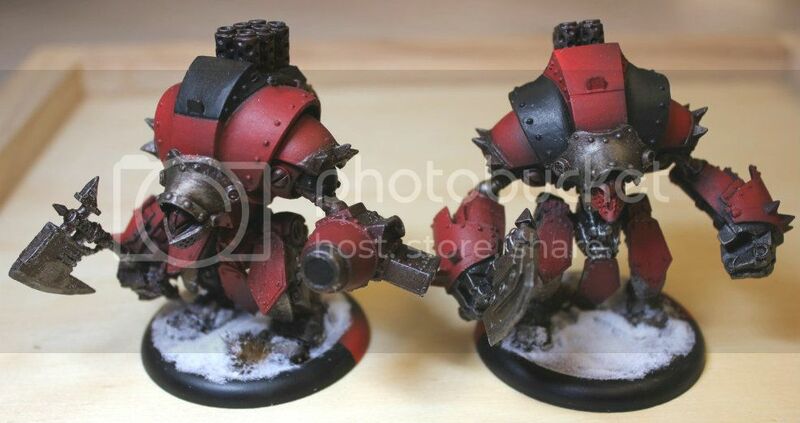 I airbrushed Khador red over a black undercoat. Metal areas are Warplock bronze and Reaper Steel with a wash of AK Interactive track Wash. I added the fade away arc markings which I think look pretty good. I had seen other people do it and decided to give it a try. The snow is No More Nails adhesive covered in GW snow. The grass is by army painter. Aside from these, I have also managed to collect a a second Warcaster (the butcher), a Khador dog, a unit of kossite woodsmen and a widowmaker sniper solo. The kids are excited about these big red behemoths - but if anyone could suggest any further units that would be useful and have decent playability in connection with the stuff I have now PLEASE do message me and let me know what you think. I want to make good choices to make fun games for the kids. Cya next week with a Beastman update and more Warmachine!